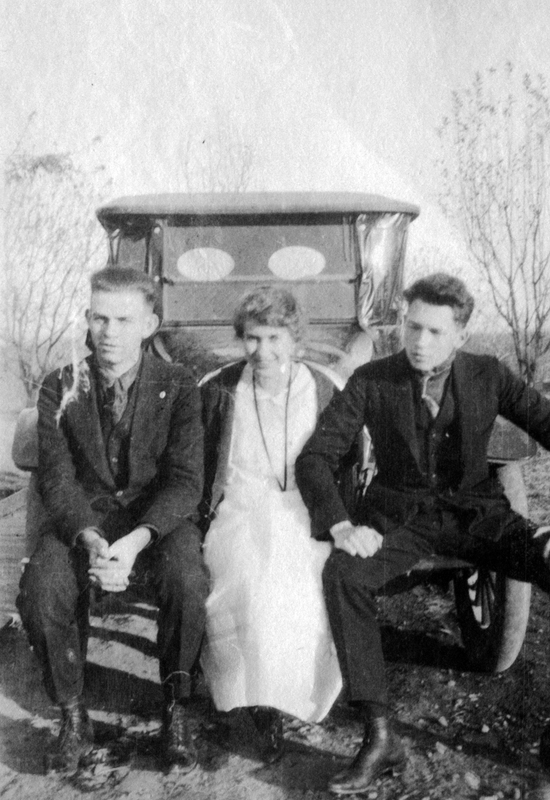 Description 3 people sitting on front of truck. Peg Hamilton in middle. Peg Hamilton is sister of Rosella Hamilton Woodward.